Sharvind Appiah is the Chief Information Security Officer at GEODIS Group. An entrepreneurial and self-motivating network and information security management practitioner, possessing a wealth of experience in security incident response, governance, risk management, business continuity and digital forensics, Sharvind has worked in industries like aeronautics, finance, national security & defense, logistics & transportation amongst others. Sharvind is a strong leader and manager with stakeholder empathy and effective team building skills and experience coupled with exceptional communication and persuasion skills. He possesses a logical approach to problem and conflict prioritization, analysis and solution implementation, based on experience in integrating the best features of people, policy, procedures, training and technology. 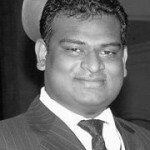 Sharvind has just over 10 years’ experience in the field in IT Risk and Security Governance with his comfort zones including Incident Response Management, Governance, Risk & Compliance Computer Emergency Response, Information Risk Management, Strategy Information Intelligence, Business Process Management, Change and Transformation amongst so many others. Sharvind is a leadership scholar from the IE Business School in Madrid, Spain. Among his biggest achievement so far is the setting up and managing of the National CERT of Mauritius and assistance in the regional CERT initiative in Africa. Marc Atayi is Founder, President and CEO of Techworld International, which was created in Maryland, USA, in 1996. With more than 25 years of experience in Information Technology, his primary area of expertise is Information Security & Risk Management, Security Architecture & Design, Vulnerability Assessment, Business Continuity Planning & ISO Standards. In his role as President and CEO of Techworld International, Mr. Atayi provides strategic and technical guidance to clients ranging from government agencies to financial institutions and private companies in the United States and internationally. Mr. Atayi has performed several security audits and risk assessments, and has conducted several seminars and training courses in the area of secure coding and auditing, security awareness, penetration testing, vulnerability and risk assessments. 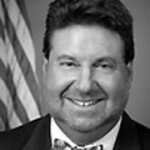 He also has extensive knowledge of compliance requirements, best practices and standards such as National Institute of Standards and Technology (NIST), Center for Internet Security (CIS), National Security Agency (NSA), Federal Financial Institutions Examination Council (FFIEC), Gramm-Leach-Bliley Act (GLBA), Health Insurance Accountability Act (HIPAA) and ISO 27001. Mr. Atayi started his career as a software engineer at IBM Corporation in Maryland. 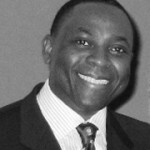 He then held positions of Manager of Information Technology and Director of Information Technology at Applied Epidemiology, Inc. (AEI), and then ENVIRON International Corporation in Arlington, VA. As Director of Information Technology, Mr. Atayi lead the strategic planning of IT for over 20 offices worldwide and participated as a member of the Board of Directors, in establishing governance processes and technology to achieve business goals. Mr. Atayi also held the position of Chief Information Security Officer at ENVIRON International Corporation, where he established and managed the company’s information security strategy. He was responsible for developing, implementing, and maintaining the company’s overall Information Security strategy for over 20 offices in the USA, Europe, Asia, and Africa. Mr. Atayi holds a Bachelor of Science degree in Computer Science from George Mason University and a Master of Science degree in Computer Science from George Washington University. He has also completed post graduate course-work in Computer Systems Management at the University of Maryland. He is bilingual in English and French. Jim Christy is the Director of Cyber Crime & Digital Forensics for eventPower. He is a retired special agent that has specialized in cyber crime investigations and digital forensics for over 27 years with the Air Force Office of Special Investigation and DoD Cyber Crime Center, spending over 41 years of his life in federal service. He was profiled in Wired Magazine in January 2007. Jim provided professional consultation for the critical infrastructure attacks colloquially known as the “Fire Sale” used in the 2012 motion picture Live Free or Die Hard, for Hollywood screenwriter David Marconi. In May 2011, the Air Force graduated the first NCO’s for a new AF career field, Cyber Defense Operations, at Keesler AFB, MS. The staff honored Jim by presenting the top graduate of the class with the “Jim Christy Award”. Jim was also selected to make the first presentation of the award and be the keynote speaker for the inaugural course. In 2006, Christy created the DC3 Digital Forensics Challenge an international competition that in 2012 had 1,800 participants spanning 49 states and 53 countries. The exercises are designed to develop, hone, and engage participants in the fields of cyber investigation, digital forensics, and cyber security. He is in the process of reincarnating the Challenge in the private sector. In Oct 2003, the Association of Information Technology Professionals awarded Jim the 2003 Distinguished Information Science Award winner for his outstanding contribution through distinguished services in the field of information management. The award was originally called the “Computer Man of the Year” award. The first winner was Admiral Grace Hopper. Other previous recipients of this prestigious award include Gene Amdahl, H. Ross Perot, General Emmett Paige, Bill Gates, Lawrence Ellison, David Packard and Mitch Kapor. From 2001 through 2003, Jim was the Deputy Director/Director of Operations, Defense Computer Forensics Lab, DC3. As the Director of Operations for the DCFL he managed four sections with over 40 computer forensic examiners that supported Major Crimes & Safety, Counterintelligence and Counter-terrorism, as well as Intrusions and Information Assurance cases for the Department of Defense. SA Christy served as the DoD Representative to the President’s Infrastructure Protection Task Force (IPTF) from 1996 until 1998. The President signed Executive Order, 130106 in 1996 creating IPTF to protect the Nation’s critical infrastructure from both physical and cyber attacks. Prior to the IPTF, Jim was detailed to Senator Sam Nunn’s staff on the Senate, Permanent Subcommittee on Investigations as a Congressional Fellow, Jan – Aug 1996. Senator Nunn specifically requested Jim’s assistance for the Subcommittee to prepare for hearings in May – Jul 1996, on the vulnerability and the threat to National Critical Infrastructure from cyberspace. 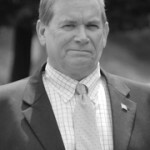 Jim provided testimony to the subcommittee on two occasions and was responsible for preparing the Senators and their staffs for the hearings and authoring the Committee’s Investigative Report. From 1986-1998, Jim was the Director of Computer Crime Investigations, and Information Warfare for AFOSI and established the first computer forensics lab in DOD which became the DoD Computer Forensics Lab at DC3. In 1993, Jim conducted the first Joint Cyber Crime Training which included over 40 investigators from over 15 agencies which became the DC3’s Defense Cyber Investigations Training Academy. AFOSI was the first LE agency anywhere in the world to create a Cyber Crime Unit in 1978. Dr. Abu Hasan Ismail, is the CEO and founder of Prestariang Berhad, recognized as the largest provider of outsourced ICT Training Services in Malaysia. Since its inception in 2003, Dr Abu has overseen the financial and strategic growth of the company and has formed successful partnerships with global ICT organizations such as Microsoft, Autodesk, IBM, Oracle and CompTIA, Certiport, Prometric, ASIC and others. Prestariang Berhad is a company under the Skim Jejak Jaya Bumiputra (SJJB). The brainchild of the Prime Minister of Malaysia, SJJB’s charter is to support successful entrepreneur and competent companies to be listed on the Kuala Lumpur Stock Exchange (KLSE). Dr. Abu listed the company on the Main Board of the KLSE on the 27th July 2011 and remains as the single largest shareholder. Prestariang Berhad allocates and distributes more than RM1.0 million per year in the form of scholarships to under-privilege students under their Corporate Social Responsibility (CSR) program. Prior to his industry experience, Dr. Abu was one of the founders of the Multimedia University, the first private University in Malaysia and was instrumental in developing the country’s first Multimedia Degree program. He was subsequently appointed as a Professor and the Dean of Creative Multimedia at the University in 1997. 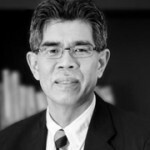 He continues to teach voluntarily and is currently an Adjunct Professor at Universiti Teknologi Malaysia and a Visiting Professor at Universiti Teknologi MARA. He is also a Council member at Taylor’s University and sits in numerous academic organizations and National Committees disbursing Research and Development (R&D) grants in the country. 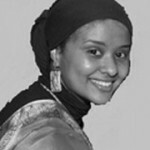 Dr Abu sits in the International Advisory Board of Computer Trade Industry Association (CompTIA) based in the USA. He was also appointed on the Advisory Panel for International Business School (IBS) in Universiti Teknologi Malaysia (UTM). In addition Dr Abu sits on the Board of Trustee of Institute Sultan Iskandar (ISI), UTM and was recently appointed as a Trustee Member of Yayasan Sukarelawan Siswa (YSS) under the Ministry of Higher Education, Malaysia. Outside work, Dr. Abu and his wife Shahirul have set up Yayasan Ekohati, a family foundation dedicated to assist the unfortunate – especially orphans. Managed by his wife; Yayasan Ekohati disburses zakat worth more than RM1.5 million annually. Dr. Abu holds a Diploma in Architecture from Universiti Teknologi Malaysia, a Bachelor of Science (BSc) and Bachelor of Architecture (BArch) from University of Strathclyde, Glasgow, and Master of Philosophy (MPhil), and Doctor of Philosophy (PhD) from University of Sheffield, United Kingdom. Jussi Jaakonaho is currently working in areas of cyber strategy, security, defense, and high-tempo operations. He has in depth experience in sparring blue teams for strategy and operations. Jussi has successfully completed cyber defense exercises both as a player and adviser. 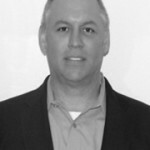 He is an expert on situational awareness and knowledge strategies, techniques and procedures, areas of computer network operations and defense, and information assurance teams. His previous work experience includes, but is not limited to: international consulting, systems administration within global networks, strategic management regarding start-ups, large global enterprises, and consulting for generalized and specialized information assurance companies. Over the years, Jussi has found multiple vulnerabilities in various products on architectural, and implementation levels. Jussi has served as a contributing author to Hacking Windows Exposed, and various tools used in different educational curricula. Curtis Levinson has over 25 years of focused experience in Cyber Security, Information Governance, and Continuity of Operations. Mr. Levinson has served with distinction, two sitting Presidents of the United States, two Chairman of the Joint Chiefs of Staff, and the Chief Justice of the United States. He has been selected by NATO (North Atlantic Treaty Organization) to represent the United States as an advisory subject matter expert on Cyber Defense. Mr. Levinson has served as a technology adviser to Chief Justice Warren Burger, Rear Admiral Grace Hopper, the Executive Office of the President of the United States, the Joint Chiefs of Staff and the Mayor’s Conference on Homeland Security. Mr. Levinson has also advised the management and leadership staffs of Boeing, Nike, DuPont, J.P. Morgan, Rolls Royce Aeronautic, TRW, Mercedes Benz and other corporations on information and telecommunications security. Mr. Levinson is a graduate of the American University in Washington, DC and the London School of Economics in London, England. Mr. Levinson has also completed post-graduate course-work at the National War College, Columbia University, and the Wharton School of Business. Mr. Levinson is a frequent author and lecturer, within the United States and internationally, on a variety of topics related to secure technology, telecommunications, regulatory compliance, counter-terrorism and homeland security. He is also an Adjunct Professor for George Washington University Graduate Programs in cyber security and counter-terrorism. Sali Osman is a world class security consultant and a professional trainer, currently leading the Security Audit program in GE Capital across the globe. She is the Security Advisor for the Internal Audit Director at GE Capital. Sali has been the Risk Management Trainer for ARAMCO Oil & Gas, in Saudi and Zain Telecom in Middle East since she comes from a security management background on an enterprise level (more than 50,000 employees and 250,000 devices). She was the Vulnerability Management Program manager in NIH, responsible for 33 centers and institutes. Before that she was with SUNGARD, where she was responsible for the risk management program for more than 15 colleges/ universities. Her role in the U.S Department of Transportation was leading the Certification and Accreditation programs, Vulnerability Management, Disaster Recovery, Incident Response and Investigations. Sali has News, TV & Broadcast operations experience acquired during her tenure with MBN, while assisting in the launch of two streams, Al-Hurra and Al-Hurra Iraq. She also speaks at internationally recognized conferences in US, Europe and Middle East. During 2002-2003, she was the Chief Technical Officer for NetSecure Solutions, managing EDMS and Security projects in DC, Morocco, and Kuwait. In mid 2000 joined General Electric as Network Security Engineer, where she designed Secure Network Architecture through Six Sigma. Sali s a Subject matter Expert in various Risk management methodologies and frameworks. She has hands-on experience in Security within multiple industries such as: IT, TV, Higher Education, Finance, Government, Oil & Gas. Ms. Osman has a B.Eng. in Computer & Electronics Engineering; a Masters degree in Computer Systems (Internet Security), and a graduate degree from George Washington University in Information Security Management. She is an (ABD) Doctorate degree in Bio-Defense from George Mason University. Todd Salmon is currently the leader of FishNet Security’s Assessment Practice (Ethical Hacking) which performs vulnerability assessments, penetration testing, wireless security assessments and social engineering. Prior to FishNet Security, Todd managed teams of information security consultants in Fortune 100-1000 companies and in the Federal Government sector. Additionally, Todd has held IT executive management positions for both Service Providers and in the traditional IT Enterprise. Todd has over twenty-three years of experience focusing on Information Systems Security in both the Enterprise and Federal Government. Todd has led numerous information security project teams providing security assessments, security policy development & review, security architecture & design, PCI compliance assessments, DoD DIACAP assessments, Certification & Accreditation and Security Awareness Programs. Todd was a founding Board Member of the first ISC2 Local Chapter in Tampa, FL and is an active proponent in educating the community on the necessity of Information Security. Todd has a Bachelor’s of Science degree in Applied Management with a concentration in Information Systems Management, holds numerous certifications which includes: CISSP, CRISC, C-CISO and is an active member of EC-Council, FBI InfraGard, ISC2, ISSA, ISACA, AFCEA, CSFI. Roberto Puyo Vallardes is the chapter president and founder of Information Systems Security Association (ISSA) Lima Perú / ISSA Inc., and chairman of the Standardization Technical Committee and Electronic Data Interchange EDI – Commission on Technical and Trade Regulations INDECOPI of the Government of Perú. 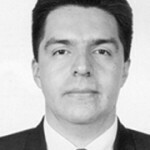 Additionally, he is a member of the following professional organizations: ISACA, Cloud Security Alliance(Perú), EC|Council Inc., OWASP Foundation (Perú), Professional Association of Engineers of Perú, International Standard Organization – ISO/IEC JTC1 – Sub-Committee SC 27 – Security Techniques of Information Technology. Mr. Puyó has more than fourteen years of experience spanning several areas of information assurance and IT management. He is currently a leading member of the security team at the Peruvian government information security office, organized by the Office of Electronic Government of Peru, attached to the Presidency of the Council of Ministers of the Government of Peru. Additional areas of expertise include information technology and information systems audit, IT security and implementation of safety management systems, and information and institutional internal control systems in the framework of international standards. Mr. Puyó’s impressive skills also include project management in the framework of PMBOK, and management of audit and information security. He has strong aptitude for analysis, design and implementation of information systems, operating systems and computer security. 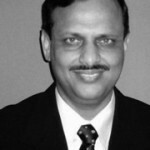 Balaji Venketeshwar is a Technology Risk Management Leader and information security architect with more than 22 years of experience and possesses knowledge in all aspects of Banking & Information Security Architecting with expertise in managing cross cultural team management expanding beyond national geography. He is a results-driven leader with an outstanding track record and a demonstrates a very illustrious career of success through “Art of Execution” & “Out of Box Thinking”. In his current role as Vice President of Information Security he leads Information Security for BA Continuum (A Subsidiary of Bank of America). He is visionary, big picture thinker and a change agent with strong goal focused with right mix of leadership skills and well recognized for developing high performance cohesive team.. He is innovative problem-solver with the proven ability to drive results, develop and manage large teams, and consistently exceed business objectives. He fosters Innovation and Creativity in all governance routine. He has innovated multiple solutions & created de-novo framework to raise the bar of Information Security control. He has filed “two Global Patents” & “One Trade Secret” in Information Security Domain. He is a prolific public speaker and delivers speech on Improving IT Security (NIST 800), IT Governance (COBIT), Information Security Architecting, Cryptography, OWASP, Securing VOIP / Mobile Network and Insider Threat -predictive analytics. He is adept at applying techno-financial expertise to bring about smarter decisions in climates of considerable risk with ever bulging threat matrix and ensuring risk mitigation using ROI based performance model. Balaji is an avid reader and has remained abreast of changing trends and values continuous life-long learning in order to assess dynamic environments and ever changing threat surface area. Mahmoud Yassin is the Manager of the Command Center Team for System & Security Monitoring also responsible for Security Operation Assurance at a very large financial firm. Among his professional networking groups are (ISC)² the UAE Chapter which he holds the title of Chapter President, elected and hired by ISC2 board members. 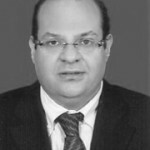 Mahmoud initiated the chapter in UAE and membership of the ISACA COBIT 5 review member group. Mahmoud has published articles in ISACA on the topics of mobile security, BYOD (Bring your own device) in Hacking 9 Magazine and InfoSec Island. He has contributed to several Information Security related events in the UAE and is a member of various security groups such as the UAE AAA, ISACA, (ISC)² and the Identity Management Institute just to name a few. Mahmoud has over 10 years of experience as an Infrastructure Security Architect for multinational organizations such as Microsoft and Fujitsu, and has a total of 16 years of experience in the infrastructure field. Mahmoud has a Bachelor of Science in Engineering from the University of Cairo and a Master’s Degree in Information Security from the University of Fairfax. Mahmoud has obtained the following professional certificates: C | CISO, CISSP, CISA, CRISC, PMP, COBIT, ITIL, and MCSE. *Only first places includes the exam voucher.